Occupational Therapy @ Sports and Spinal cover a wide region from Sunshine Coast to Brisbane and the Gold Coast. Our mobile home visiting service provides services to NDIS clients, Veterans ( DVA) and Seniors including Home Assist. Educating clients, families and carers on the use of specialised equipment, safe transferring and positioning. Advice regarding practical and cost-effective home modifications, e.g. handrail positioning, installation of ramps and chair raisers. If you or a patient you look after are in need of OT services, contact us and see how we can help today! Click on Occupational Therapist face to find out more information. Karen is a senior Occupational Therapist, with over 15 years experience specialising in injury management and occupational rehabilitation, corporate health, Workers Compensation premium reduction strategies, and chronic or complex pain conditions. Her Masters research in Occupational Therapy focused on the impact of shift work and the associated safety concerns. She is adept at assisting corporations to turn around their injury management statistics using collaborative techniques and early intervention methodologies. With an extensive injury management background, she predominantly worked in the heavy industry arena (mining, power production and construction). Karen is highly experienced in medicolegal matters, and skilled in complex functional and workplace assessments, task/job analysis and ergonomic assessments. Karen has extensive experience in both corporate and clinical settings and held a regular feature in radio as the health expert and speaker at various events. She has extensive experience in private practice, having built a successful multi-disciplinary clinic in the Hunter Valley, NSW between 2011 till 2018. Karen’s main goal is to inspire her clients to lead independent and fulfilling lives and to support corporations engage a healthy and motivated workforce. James graduated from the University of the Sunshine Coast with a Bachelor of Occupational Therapy (Honours). He has a passion for assisting clients to overcome barriers set by injury, disease or disability through goal setting, equipment prescription and task-oriented rehabilitation. James has a specific interest in neurological conditions, particularly in stroke and upper limb rehabilitation post-stroke. He has a keen interest in providing innovative interventions that can improve physical and cognitive functioning for people of all demographics. 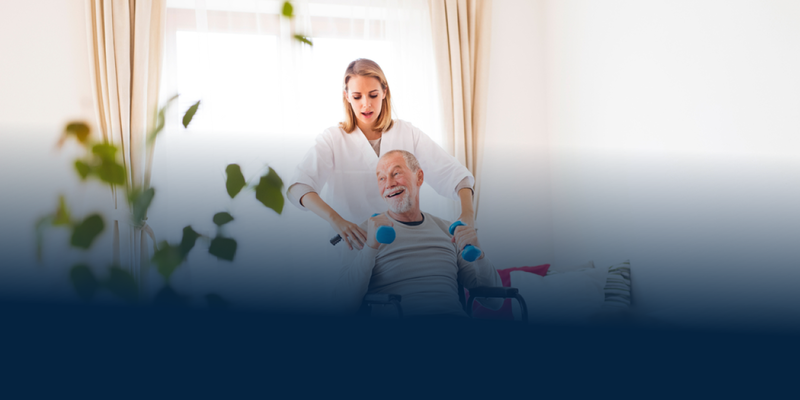 James’ goal is to provide effective rehab strategies and environmental modifications that enable his clients to achieve more productive, enriching participation in activities at home and within their communities. In his spare time, he loves to travel, cook for friends, and adventure in and around the Sunshine Coast’s hinterland region.